We design and develop professional websites. 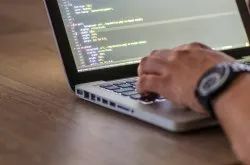 Hyper Text Mark-up Language (HTML) and Cascading Style Sheets (CSS) are the two recommended languages in web development by the World Wide Web Consortium (W3C). Both are capable of revolutionizing the way we design and develop websites, and both include so many new features and functions that it can be hard to keep up. CUSTOMIZED WEB DESIGN SERVICES DESIGNED EXCLUSIVELY FOR YOU! Enchant your audience with aesthetic HTML web design services. 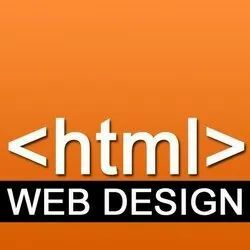 Count on Gstar Technologies for a wide array of HTML web design services. Our motto is to offer bespoke web design services that cater our customer’s requirements. HTML is designed to deliver almost everything you want to do online without requiring additional plugins. It does everything from animation to apps, music to movies, and can also be used to build complicated applications that run in your browser. With Braahmam, content publishers can have their legacy data converted into HTML 5 content, which is made available on all types of mobile devices such as smartphones, tablets and other platforms at no extra cost. HTML 5 and CSS3 are latest version of their respective domains. Most browsers now support HTML5 and with CSS3 along with it will give any website a great design and look.